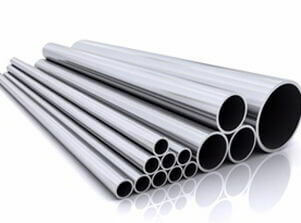 ASME SA789 Ferritic/Austenitic Duplex 2205 ERW Tube Suppliers, Duplex S32205 EFW Pipe Exporters, Duplex Steel Pipes, ASTM A790 Duplex Steel UNS S32205 Seamless Pipes, ASTM A789 Duplex Stainless Steel S32205 Welded Tubing, Duplex Steel Tubes, UNS S32205 Tubing, DIN 1.4462 Seamless Cold Finished Tubes Manufactures in India, SAF 2205 Welded Round Pipes Stockholders in Mumbai. 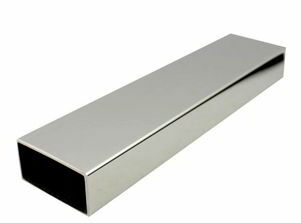 UNS S32205 Duplex Stainless Steel Polished Pipes Stockists, Duplex S32205 Seamless Round Tubing, Duplex UNS S32205 Rectangular Hollow Pipes, 2205 Duplex Welded Square Pipe, Duplex Steel UNS S32205 Oval Tubes, DIN 1.4462 Hot Finished Tubes Dealers in India, UNS S32205 Electropolished Pipes and Tubes Distributors in Mumbai. Renine Metalloys is a prominent manufacturer and distributor of Duplex S32205 Pipes and Tubes, which maintains good weldability in their thickest sections. Duplex UNS S32205 Seamless Pipes has high strength and corrosion resistance at temperatures up to 316 Degree C. Duplex UNS S32205 Welded Pipes provides high strength and ductility and has been used in the automotive industry to create lighter, more durable components. 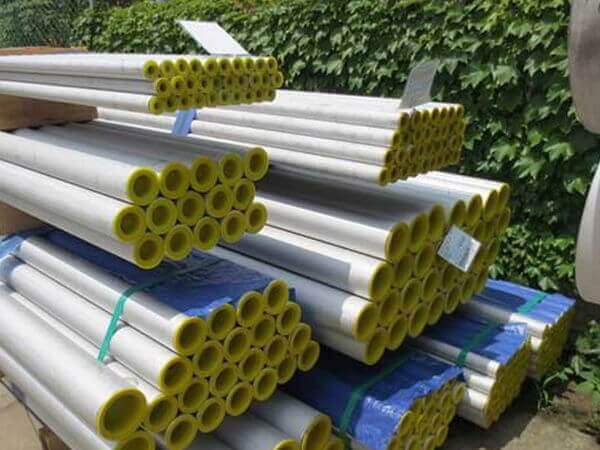 Duplex UNS S32205 EFW Pipes is not generally suitable for use at temperatures above 300 Deg C as it suffers from precipitation of brittle micro constituents, or below -50 Deg C because of its ductile-to-brittle-transition. 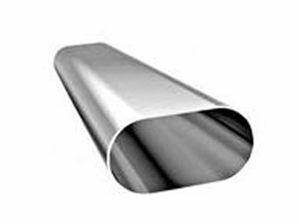 Duplex UNS S32205 ERW Pipes has high resistance to chloride stress corrosion cracking. Resistance to stress corrosion cracking of importance for Duplex UNS S32205 Seamless Tubes in many applications including hot water tanks, process plant, brewing tanks, and desalination plant.Minimize vibration in Duplex UNS S32205 Welded Tubes by keeping the tool extension as short as possible. At temperatures above 300 Degree C, the brittle micro-constituents of Duplex UNS S32205 EFW Tubes undergo precipitation. 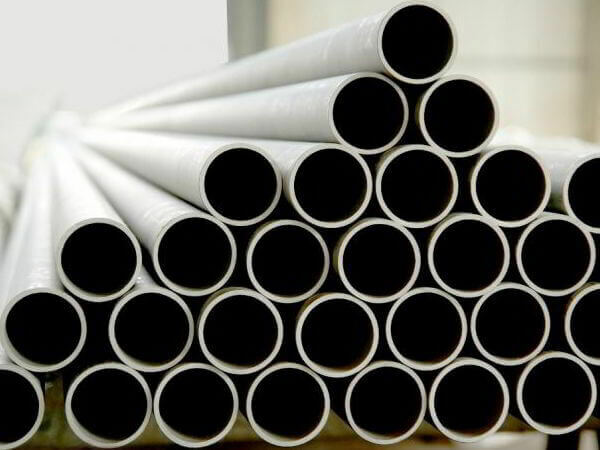 Duplex UNS S32205 ERW Tubes contains a higher nitrogen content which guarantees better corrosion resistance. 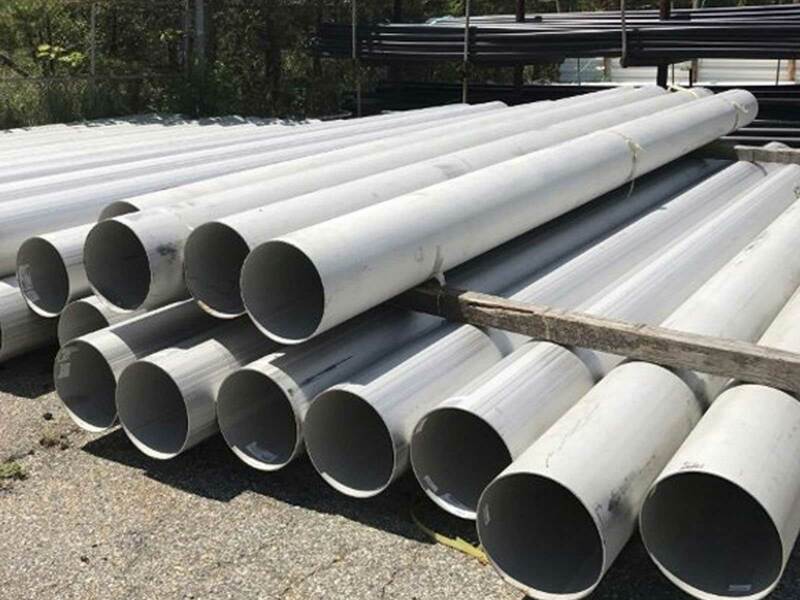 Duplex Stainless Steel S32205 Pipes has excellent general corrosion resistance, and superior to Grade 316 in most environments. The approximate 50/50 ferrite-austenite structure of Duplex Stainless Steel S32205 Tubes provides excellent chloride pitting and stress corrosion cracking resistance, with roughly twice the yield strength of the standard austenitic stainless grades. SAF 2205 Duplex Steel Capillary Piping, Duplex Steel UNS S32205 Coil Tube Suppliers in Mumbai, S32205 Duplex Stainless Steel Instrumentation Pipes, Duplex Steel UNS S32205 Cold Drawn Seamless Pipes Traders, Duplex 2205 Stainless Steel Hollow Section, DIN 1.4462 Hydraulic Tubing Exporters, Duplex Steel S32205 Heat-Exchanger and Condenser Tubing, Duplex UNS S32205 Hexagonal Pipe Stockyards. Duplex Steel UNS S32205 Pipes, Duplex Steel UNS S32205 Seamless Pipes Exporters, ASTM A790 Duplex Steel UNS S32205 Big Diameter Seamless Piping, ASME SA790 Duplex Steel UNS S32205 Heavy wall welded Pipes Stockholders in Charni Road, ASTM A790 Pipes, ASTM A789 Duplex Steel UNS S32205 Seamless Tubing Stockyards in C.P. Tank Road, ASTM A789 Duplex Steel UNS S32205 Tubes Traders in Maharashtra, ASME SA789 Ferritic/Austenitic Stainless Steel ERW Tubes, A789M Duplex Steel UNS S32205 Welded Tubing, UNS S32205 Polished Pipes Stockists in Maharashtra, Hot Finished Duplex Steel UNS S32205 Pipes, Duplex S32205 Seamless Cold Finished Tubes, Duplex Steel S32205 Electropolished Pipes, UNS S32205 Duplex Steel EFW Tubes, Duplex Steel UNS S32205 EFW Pipes Distributors, DIN 1.4462 Heavy wall Piping, Duplex Steel UNS S32205 Fabricated Pipe Vendors, UNS S32205 Duplex Steel Thin wall Tubes, Duplex Steel UNS S32205 Hollow Pipes Manufacturers in India, Duplex Steel Pipes, Duplex Steel Tubes Suppliers, Cheap Duplex 2205 Stainless Steel Hollow Section Square Pipes, SAF 2205 Rectangle Hollow Section Pipes, Buy UNS S32205 Heat Ex-changer Duplex Steel Tubes, Duplex Steel UNS S32205 Water Pipes, Duplex Steel UNS S32205 Oval Pipe & Tube, UNS S32205 Coil Tubes, Alloy 2205 Pipe, Alloy 2205 Tube, Duplex Steel UNS S32205 Capillary Tubing, Duplex Steel UNS S32205 Hexagonal Pipes, Duplex S32205 Seamless Mechanical Tubes, Duplex Stainless steel UNS S32205 Instrumentation Pipes, Low Price Duplex Steel S32205 SCH 40 Pipe, Grade UNS S32205 Duplex Steel Schedule 80 Pipes, UNS S32205 Duplex Steel Tubular Products, Duplex UNS S32205 Steel Capillary Pipes and Tubes, Duplex S32205 ERW Pipe, UNS S32205 Duplex Pressure Pipes, Duplex Steel UNS S32205 Mirror Polished Tube, High Quality Duplex Steel UNS S32205 Round Pipe, Duplex Steel UNS S32205 Rectangular Pipes & Tubes, Duplex Steel UNS S32205 Square Pipe and Tubing Manufactures in Mumbai India. Chennai, Mumbai, Aberdeen, Rio de Janeiro, Colombo, Lagos, Jaipur, Gimhae-si, Doha, Bangkok, Pune, Petaling Jaya, Jeddah, Gurgaon, Chandigarh, Mexico City, New York, Abu Dhabi, Santiago, Milan, Granada, Port-of-Spain, Secunderabad, Courbevoie, Edmonton, Ahvaz, Kuala Lumpur, Vadodara, Kuwait City, Navi Mumbai, Turkey, London, Geoje-si, Bhopal, Dammam, Haryana, Brisbane, Tehran, Vung Tau, New Delhi, Sydney, Seoul, Thane, Manama, Istanbul, Baroda, Bogota, Visakhapatnam, Busan, Australia, Calgary, Al Khobar, Indore, Nagpur, Ulsan, Ernakulam, La Victoria, Pimpri-Chinchwad, Hyderabad, Perth, Los Angeles, Houston, Al Jubail, Jamshedpur, Noida, Kanpur, Algiers, Singapore, Bengaluru, Ranchi, Dubai, Hanoi, Thiruvananthapuram, Jakarta, Chiyoda, Atyrau, Montreal, Howrah, Karachi, Ludhiana, Sharjah, Toronto, Surat, Hong Kong, Lahore, Faridabad, Rajkot, Nashik, Caracas, Madrid, Muscat, Kolkata, Ho Chi Minh City, Ahmedabad, Moscow, Cairo, Riyadh, Dallas, Coimbatore. Indonesia, Puerto Rico, Bolivia, United Arab Emirates, Finland, Nigeria, Kenya, Iran, Qatar, Mexico, Afghanistan, Gabon, Singapore, Jordan, Russia, Kuwait, Ireland, Costa Rica, Nepal, Croatia, Turkey, Argentina, Mongolia, Portugal, Ghana, Slovakia, brazil, Lebanon, Poland, Saudi Arabia, Taiwan, Iran, Bahrain, Netherlands, Peru, India, Chile, Serbia, Norway, Venezuela, Belarus, Tibet, Colombia, Greece, Romania, Bhutan, Hungary, Belgium, Kazakhstan, Thailand, Japan, South Korea, Lithuania, Algeria, Canada, Bangladesh, Malaysia, Yemen, Egypt, Poland, South Africa, France, Czech Republic, Morocco, Vietnam, Germany, New Zealand, cyprus, United Kingdom, Ukraine, Sweden, Australia, Chile, Philippines, Macau, Sri Lanka, Denmark, Switzerland, Libya, Austria, Italy, China, Spain, Mexico, Brazil, Gambia, Estonia, Ecuador, Azerbaijan, Bulgaria, Trinidad & Tobago,Tunisia, Oman, Zimbabwe, Nigeria, mexico, srilanka, thailand, malaysia, Israel, Namibia, Hong Kong, United States.